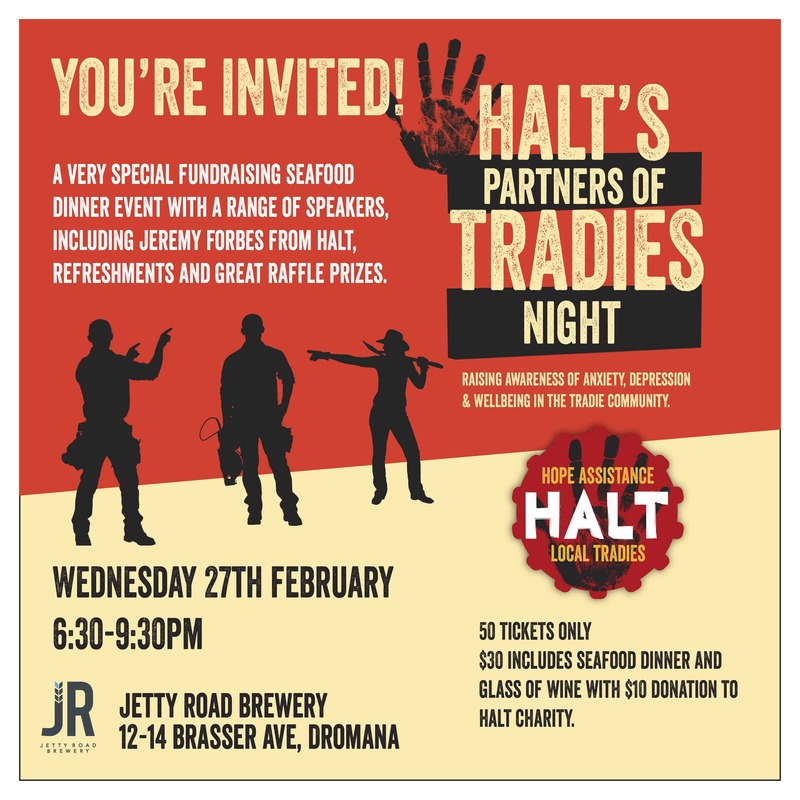 We are holding a special Partners of Tradies night on the 27th of February in Dromana at Jetty Road Brewery. It’s a fundraising seafood dinner, with a limited 50 tickets available, so please book via this link now if you’d like to attend. HALT’s ‘Partners of Tradies’ events have become a great link to services for the partners, friends and families of tradies. By creating an environment that is comfortable and community-accessible, we hope to open up positive conversation around mental health. Our speakers at the event all work within the local services and offer firsthand education on navigating tasks such as having that difficult conversation, getting a mental health care plan and finding the right counsellor.